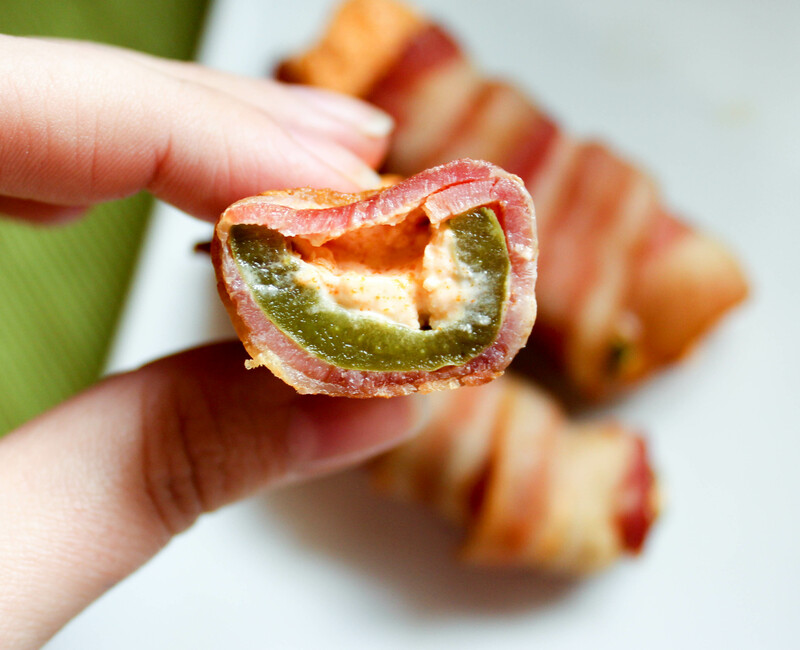 Spicy jalapeños stuffed with buffalo cream cheese and wrapped in crispy bacon. 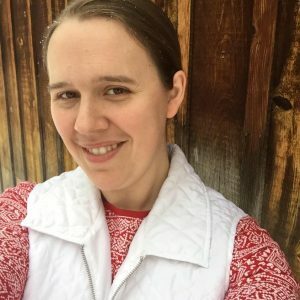 This recipe is low carb and a THM-S. These little bites of delight have become a favorite around our house in the past couple of weeks! They are so easy to make, and they do not require any special ingredients! Everything you need for this recipe (all 5 ingredients) can be found at your local Walmart or grocery store! We like to have these as a side dish when we make hot wings. Bring on all the hot! Actually, these are not that spicy. Depending on how hot your jalapeños are, these are actually quite mild. But don’t let that make you think they aren’t full of flavor! The flavor is so good! And bacon . . . well, everything is better with bacon, right? Of course! Not only can you use these as a side dish, but they would make a great appetizer for any kind of party or picnic! I guarantee that you could take these to a church pot-luck and no-one would know they were “diet” food! Ha! I love it when even non-THM people love the food! Mission accomplished! So, what do you need for these little bites of deliciousness? Remove the tops of the peppers, remove seeds, and slice jalapeños in half. 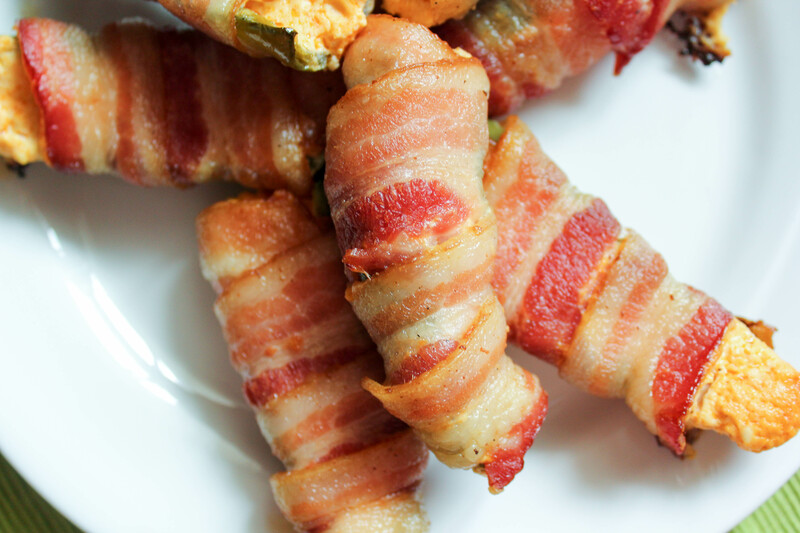 Simply mix your softened cream cheese with the hot sauce and garlic salt, then fill the jalapeño halves and wrap with the bacon! Then they are ready to bake! See below for full instructions. Using gloves, remove the tops of the peppers, remove seeds, and slice jalapeños in half lengthwise. Mix the softened cream cheese with the hot sauce and garlic salt. Fill each jalapeño half with the buffalo cream cheese mixture. 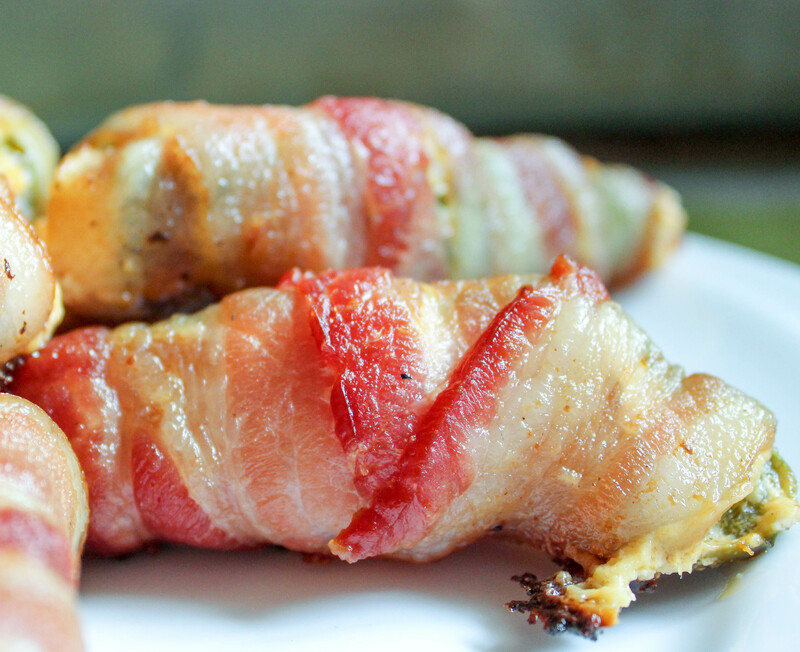 Wrap each half with one slice of bacon. Bake for 20-25 minutes, or until bacon is crispy. Feel free to add more or less hot sauce to your personal preference!